We are located just 15 minutes from New York City, in New Jersey. Cocreative LLC provides integrated marketing and design initiatives specializing in: • Graphic Design • Web Design • Printing • Website Maintenance • Web Site Development • Advertising • Marketing • Collateral Materials • Direct Mail/Bulk Mailing • Packaging • Branding • Stationary • Sales Promotions • Prepress Preparation • Color Separation • Photo Retouching • Web Site Hosting. 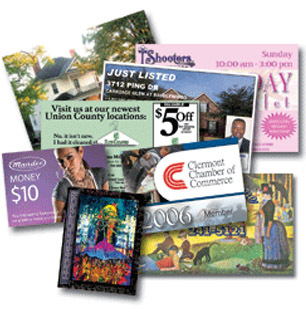 CO-CREATIVE is your reliable source for all your full-color printing, including personal and corporate business cards as well as websites. We produce premium-quality products with quick turnaround times for web design and printing stationery, postcards and business cards for every need. We also provide unique letterhead with matching envelopes for your professional or personal needs. CO-CREATIVE is a leader in discount printing and web design, using only the highest quality paper stocks and offset printing - not those flimsy free business cards you'll find on other sites! If you need corporate envelopes, postcard mailers, letterhead design, or business cards, and if you need them fast, then CO-CREATIVE is the site for you.